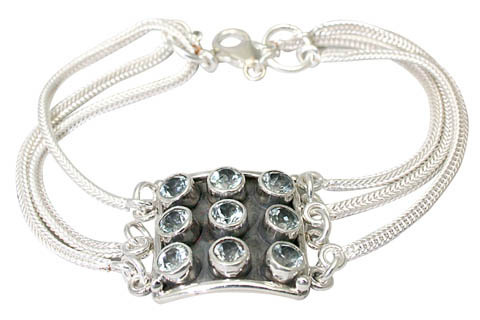 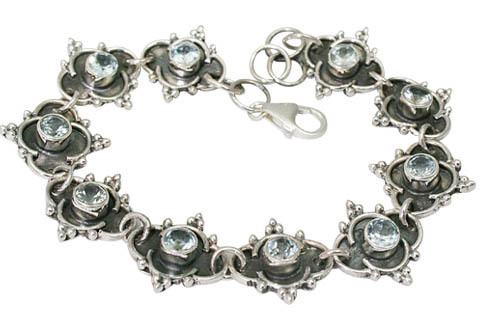 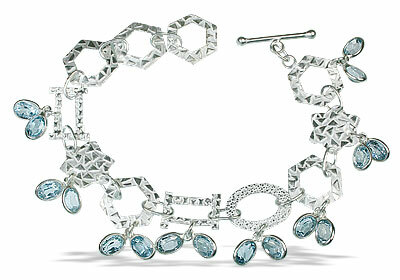 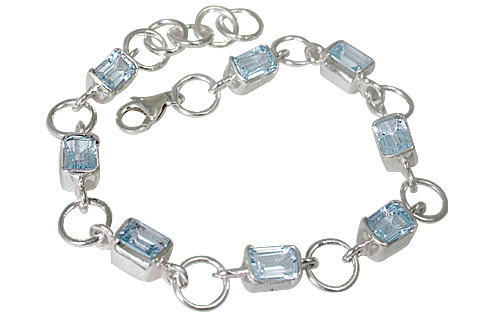 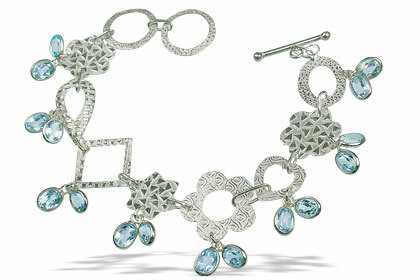 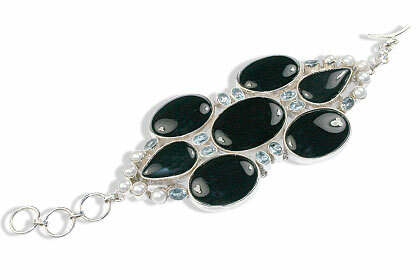 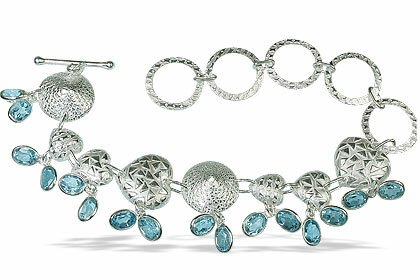 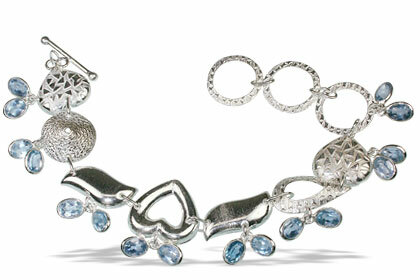 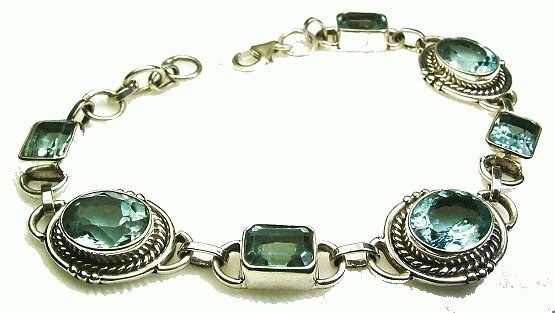 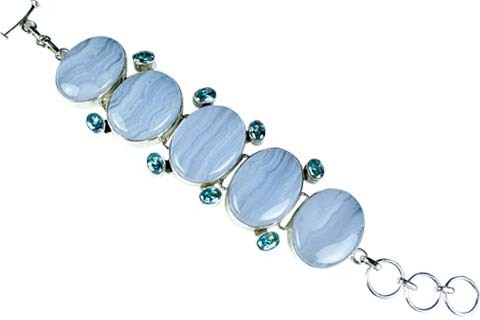 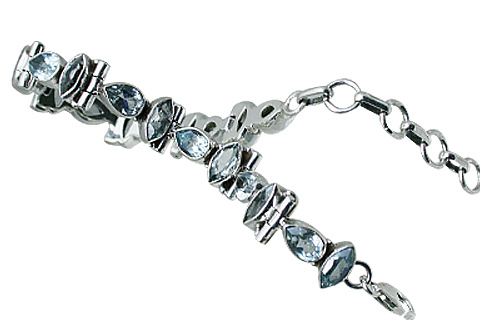 Check out our collection of handcrafted blue topaz silver bracelets. 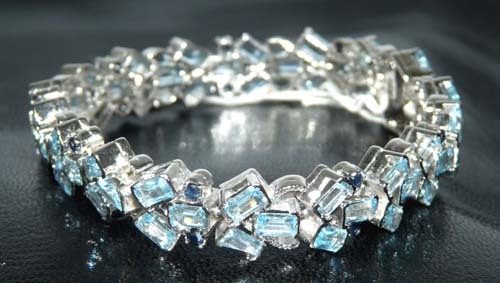 Our collection features a large variety of designer silver settings mounted with only fine quality dazzling blue topaz gemstones. 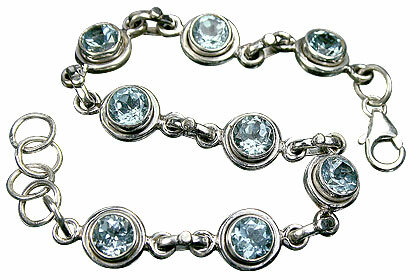 With its soft sky blue to deep sea blues, the blue topaz gemstone is simply irresistible for shiny sparkling quality in these silver bracelets for your wrists. 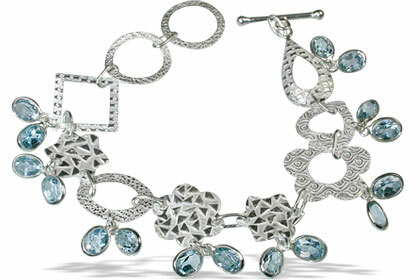 Blue topaz refers to the cool blue variety of the precious gemstone Topaz that occurs in a variety of color tones. 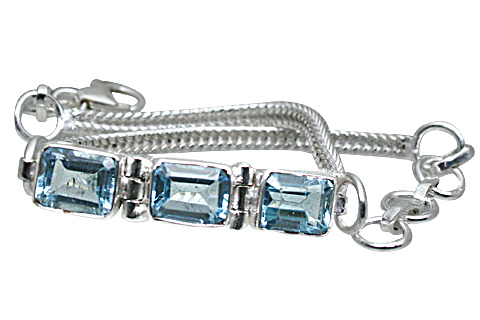 Natural blue topaz with a deep hue is very rare and impresses all fashion conscious jewelry lovers. . 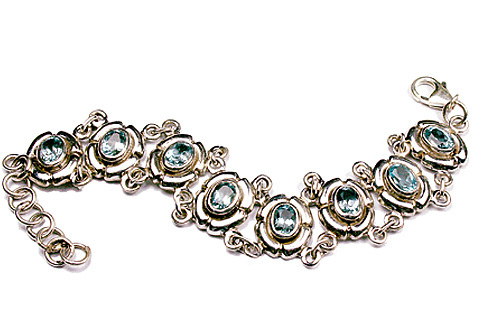 This sparkling gemstone is also worn to dispel sadness, anger and fear and is gifted to commemorate the 4th and 19th wedding anniversary. 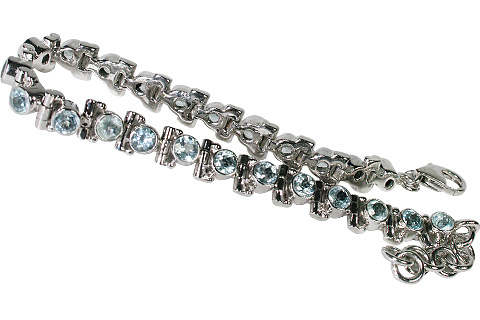 It is the birthstone for November and December.